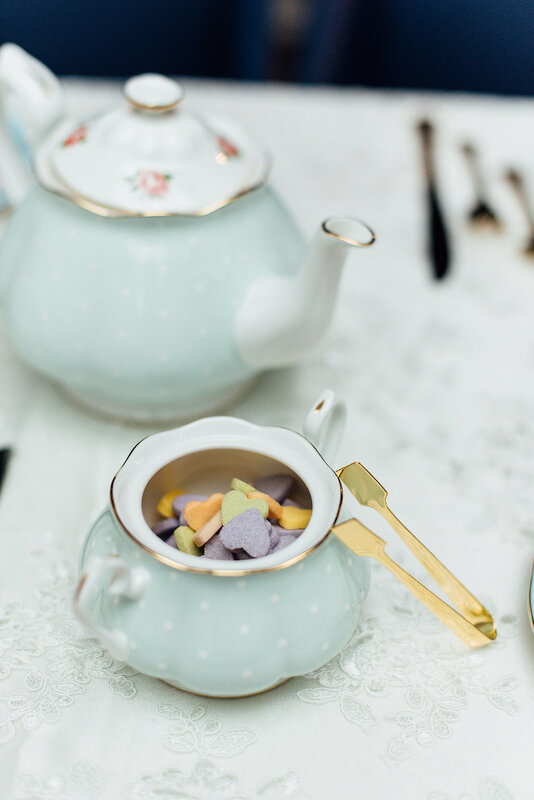 We celebrated the launch of RoyalTea Party Events Inc. the first weekend of spring at Marché Mövenpick Restaurant! Together, RoyalTea Party Events Inc and Marché Mövenpick Restaurant held a promotional High Tea event for 150 guests over three tea seatings. 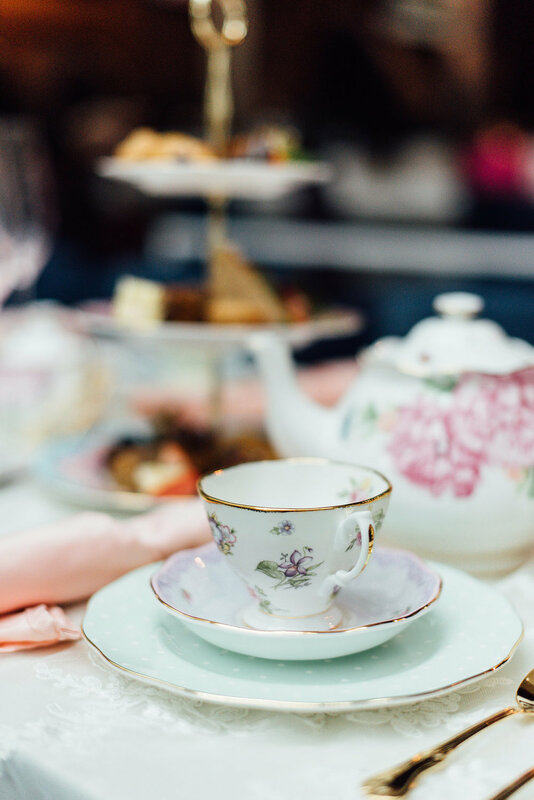 Guests enjoyed complimentary teas, pastries, sandwiches, and sweets provided by Marché Mövenpick on the The RoyalTea Party Events Inc.'s gorgeous Royal Albert fine bone china patterns inspired by a love of florals, butterflies, polka dots, and gold accents. As it was the first weekend of spring, guests delighted in the sunshine beaming thru the windows of the Atrium and all our floral decorations, including some lovely custom made pastel paper flower and hashtag decorations by Emalemma Designs. Our guests also enjoyed the custom silk floral photobackdrop created by RoyalTea Party Events Inc. and the photobooth area set up with a vintage loveseat and stocked with fun props. The RoyalTea Party Events Inc. brand ambassadors greeting and seated our guests, assisted guests with photos and selfies, and letting them know about our launch event contest giveaway. Our VIP guest was surprised with a baby shower, and the mama to be along with her friends enjoyed some little extras at our VIP table including a lovely and delicious baby shower cake that was kindly provided by Sugar Street Boutique, in addition to a lovely cake custom made for our launch event. While one of guests was lucky enough to win our giveaway prize including a gift basket full of goodies from the Marché Mövenpick, a fifty dollar credit towards a cake or dessert catering, and a tea party for six planned by RoyalTea Party Events Inc.
From the great response and buzz we received on social media, instagram and facebook, our launch event was a great success and our guests really enjoyed a little bit of the royal treatment by RoyalTea Party Events Inc. and Marché Mövenpick, Toronto. Our beautiful launch event photography seen below and throughout most of our website is by photographer Sara Monika, specializing in wedding photography. We are especially grateful to our event venue and catering partner Marché Mövenpick for providing our lovely venue, all the delicious foods and tea our guests enjoyed, and the catering staff for our launch event. 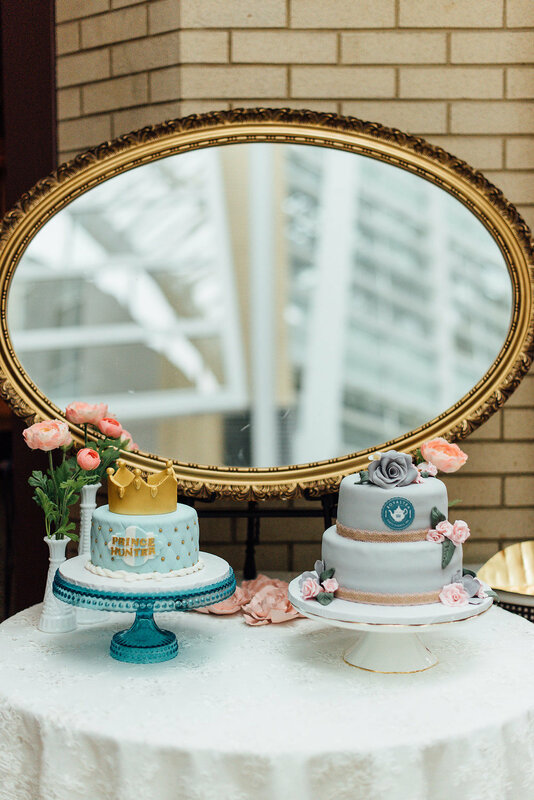 We are very thankful to Sugar Street Boutique for creating and providing our lovely launch event cake and baby shower cake. 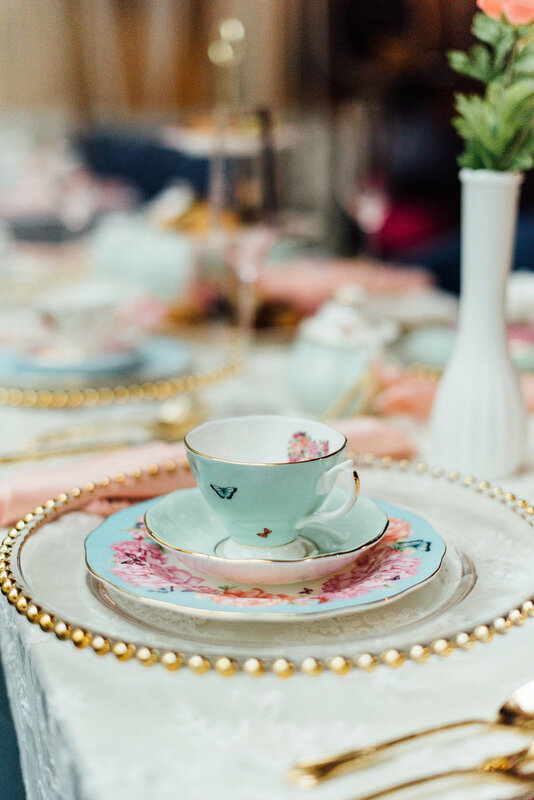 We are very appreciative to Emalemma Designs, Sara Monika Photography, and the entire RoyalTea Party Events Inc. team for their contributions to making our event a big success. 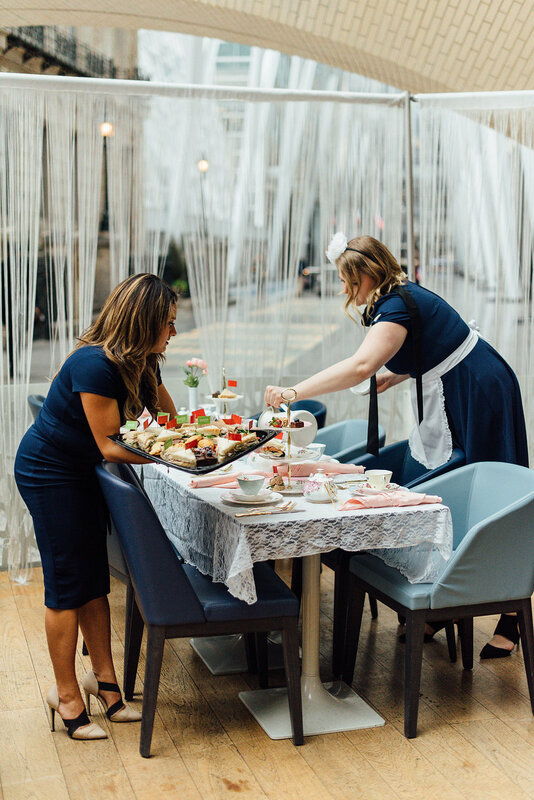 Last but not least, RoyalTea Party Events Inc. is thankful to the Toronto Ladies Community for their continued support, encouragement, and positivi-tea. A CUP OF TEA SHARED WITH A FRIEND IS HAPPINESS TASTED AND TIME WELL SPENT.